Kimberly Sanchez interviews Ellen Lawton, April Faith-Slaker, and Amy Johnson about research in legal innovation, why it’s important for access to justice, and current research methodologies they’re using. Although innovation in the legal field is present, its ability to provide solutions to access to justice issues is progressing slowly. Is the legal profession’s adverse response to empirical research and evidence-based thinking to blame? 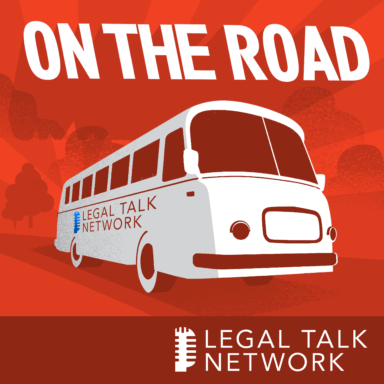 In this report from On The Road, Kimberly Sanchez interviews Ellen Lawton, April Faith-Slaker, and Amy Johnson about research in legal innovation, why it’s important for access to justice, and current research methodologies they’re using. Ellen Lawton is the co-director of the National Center for Medical-Legal Partnership which is in the Milken Institute School of Public Health at George Washington University, Washington, DC. April Faith-Slaker is at the Harvard Access to Justice Lab, a research lab that broadly focuses on access to justice issues. Amy Johnson is the executive director of the Arkansas Access to Justice Commission, which does research on legal needs and gathers empirical data on how the state allocates resources.